Me Before You was fantastic on audio for sure! I sobbed at the end. Kathy - So did I! I've really enjoyed Hardy on audio! 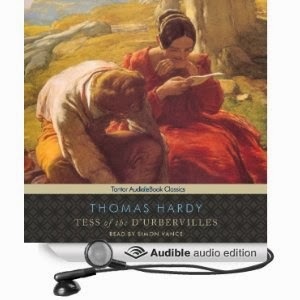 Melissa - I'm going to try Hardy's other novels on audio. I think Calling Me Home might be better on audio. I was reading it but the dialogue seemed a little stilted somehow. I might try listening. Andi - I almost can't imagine reading Calling Me Home… the audio added so much! Even though I don't listen to books, your titles look wonderful! The only one I've read was Me Before You, but I have been curious about most of the others. Pat - I think you would really like the others, too. 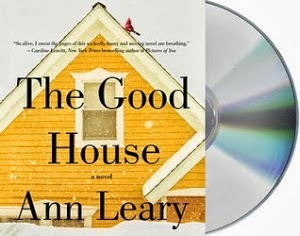 The Good House will be appearing on my favorite audiobooks list, too - it was perfect. Carrie - It really was perfect. Mary Beth Hurt did an amazing job narrating. I actually read Calling Me Home in print and I still loved it! But The Good House and Me Before You were awesome. 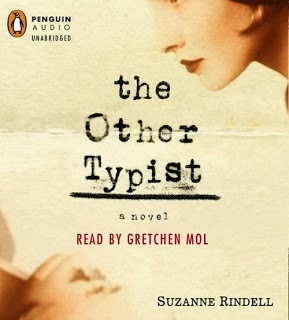 I also listened to The Other Typist and while I liked the listening aspect, the plot itself confused the hell out of me. I'm going to have to pursue Tess, if Simon is taking me along for the ride! Sandy - My mother and sister both loved Calling Me Home in print, too. The Other Typist left me wondering what exactly happened, but I loved the narration. As for Tess, don't think you can ever go wrong with Simon Vance! I listened to Tess as well. Ho do you listen? Ipod, iphone, mp3? Stacybuckeye - I mostly listen using the audible app on my iPhone, but also listen to CDs (review copies and some borrowed from the library) in the car. 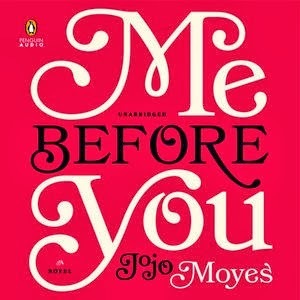 I read Me Before You and it will be on my 2013 favorite list. I have Calling me Home in print, buy may look for it in print. Nise' - I'd definitely recommend listening to Calling Me Home. Me Before You, for sure. I bet you cried even when you listened to it, but that way you wouldn't get the pages wet as i did. Bellezza - I was sobbing at the end of Me Before You… so sad! 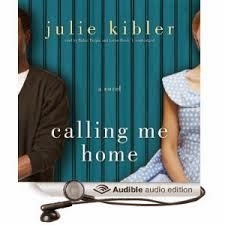 Me before You was a good audio -- I read Calling Me Home, but it wasn't a favorite of mine. Beth F - I doubt I would have enjoyed Calling Me Home quite as much in print. Hope you enjoy The Signature of All Things! Melinda - I'm 3/4 through now and really enjoying it! Hmmmm, methinks I might have to use my Jan credit on The Other Typist. I did enjoy The Good House this year, too. But I think my fave audios is a split between Doctor Sleep and Beautiful Ruins. Care - The audio production of The Other Typist really made that book for me. Everyone raves about Beautiful Ruins…. can't figure out why I keep hesitating. As you know, I love audiobooks too, though I listen exclusively in the car...this means I haven't listened to the news in years! I think Tess would work well in audio version--I really like listening to some of the classics this way. I will bookmark this page for when I am finally done with Pickwick Papers (all 25 discs) and am wondering what to listen to next. 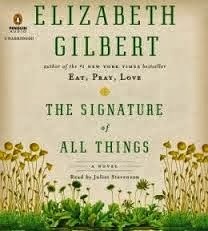 Probably should get on the list for the Elizabeth Gilbert--I bet the library copies are booked for months! JaneGS - The reviewers are right when they say The Signature of All Things is like a Dickens novel and I'm enjoying it very much. Juliet Stevenson's narration is so good, I would definitely recommend audio over print. I really need to remember to order books on audio when I'm getting new ones - my library sale way of picking audiobooks up means I won't get to any of these for a couple of years! Lisa - Even with an audible membership, I still borrow audiobooks from my library… especially if I'm not sure I'll love them. Have been pleasantly surprised quite a few times!